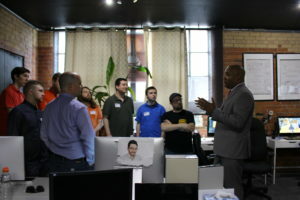 The Hon Michael Coteau, MPP visits SHG Studios! On May 27th 2016, SHG Studios was honoured to welcome the Hon. Michael Coteau, MPP! The Minister of Culture, Tourism and Sport for Ontario toured the studio, learned about our development process, and even pressed the “launch” button on our latest game! Minister Coteau also spoke about OMDC, the IMDF and OIDMTC, all of which have been big factors in SHG’s success. It was SHG’s distinct honour for the Minister to officially submit our newest title, Wasteland Heroes – Boss Wars to Google Play and launch the game live. The Hon Michael Coteau, MPP visit SHG Studios! 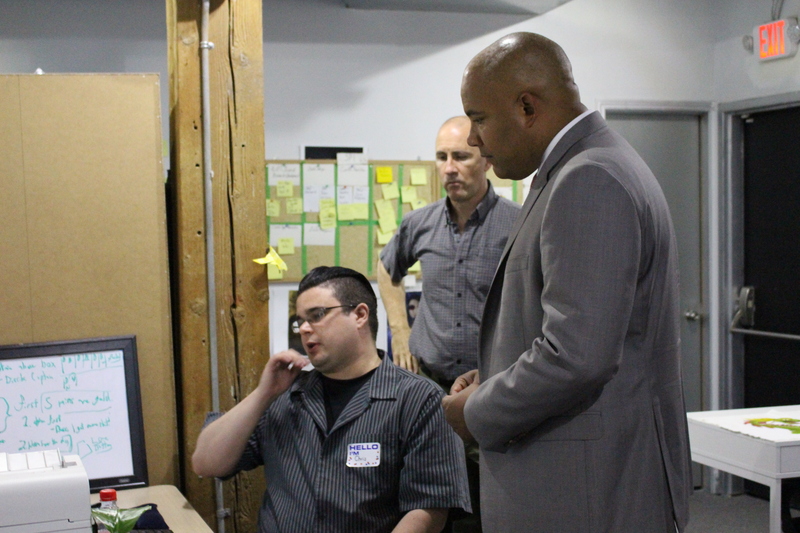 Thank you to Minister Coteau for visiting our studio, and we hope he will visit us again soon!